Control all the screens on the field. Able to control with wired or wireless mode. 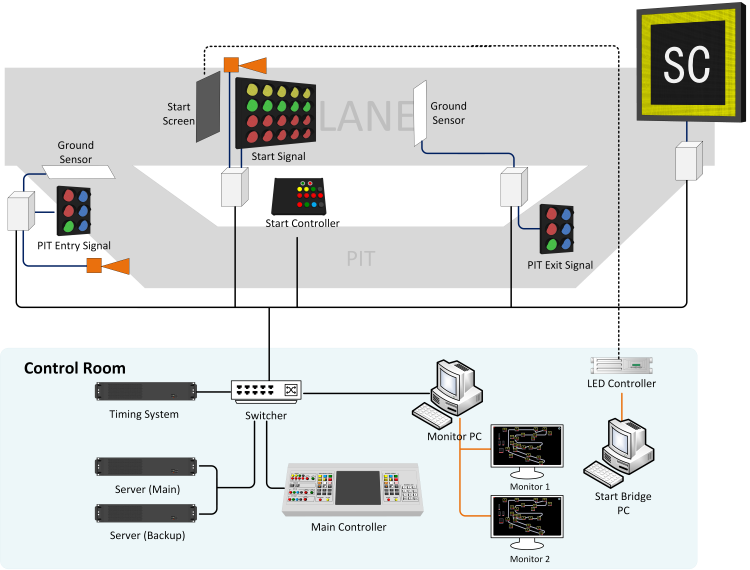 Set all screen display the same signaling in the same time, or specified the content on each screen independently. Monitor the realtime status on all screens. Control the PIT EXIT signal. High brightness LED screen for the start signal. Display the PIT Entry/Exit Signal. Display variants of flag: Green, Red, Yellow, SC, etc. Feedback the realtime running status automatically. Control the lane screen on the site. Able to input the car number.